Everyone gets behind the wheel of a car with the hope of arriving at their destinations safely. However, auto accidents are unfortunately common. According to the Centers for Disease Control and Prevention, approximately 32,000 people die in motor vehicle collisions every year in the United States, and more than two million people are injured in motor vehicle crashes. The pain, suffering, and losses that drivers and passengers face in the aftermath of an accident aren’t always immediately apparent. If you have been injured in a car wreck, preserve all the evidence you can. After ensuring that all injured parties receive medical care, begin the process of gathering, cataloging and saving evidence. Consider these tips for preserving evidence after being injured in a car wreck. In doing so, you are empowering yourself for the best possible outcomes from personal injury claims. Your camera can be one of your best tools for preserving evidence after an automobile crash. If you don’t have a high-quality camera with you after a wreck use your cell phone camera. Photograph everything that may be helpful. Your personal injury claim may rely heavily on what the photographic evidence reveals. Take overall shots of the scene from different angles. The sooner you can safely do this, the better. Include all the vehicles involved in the accident in the photos. For example, if it was a multi-car accident, capture where each vehicle was in relation to the others at the time of the accident. Also take close-ups of the damage to the vehicles and your injuries. You may also want to photograph any other relevant things that may have contributed to the accident or worsened the injuries you face. For example, take pictures of traffic lights, stop signs, and other things that may have played a role in the accident. Photograph anything that was damaged by the accident. If possible, capture the weather and road conditions. Eyewitness accounts can be valuable if you decide to pursue a personal injury claim. Try to gather information from all witnesses to the accident. Ask witnesses for full names as well as phone numbers and email addresses so you can contact them later. Ask witnesses detailed questions about what they saw to determine how they perceived the accident. Witness statements can help establish specific facts in the case. Witness testimony can also help encourage the insurance party to settle on a larger settlement in a personal injury case. Witness statements should be taken as soon after the accident as possible. No matter how much the other party may not want you to contact the police after a motor vehicle collision, always file a police report. The police report may strengthen your personal injury claim later and can help establish the truth in the immediate aftermath of the wreck. After all, the police are unbiased and are simply gathering facts. Tell the police exactly what you remember before, during and after the collision. State specifically where the accident happened and what time it occurred to the best of your knowledge. Discuss any apparent damages to both vehicles and any injuries. Finally, provide information about any witnesses’ observations. Gather a blank notebook and use it to make daily notes on what is happening with your injuries. Start by recording all the details you can about the accident. 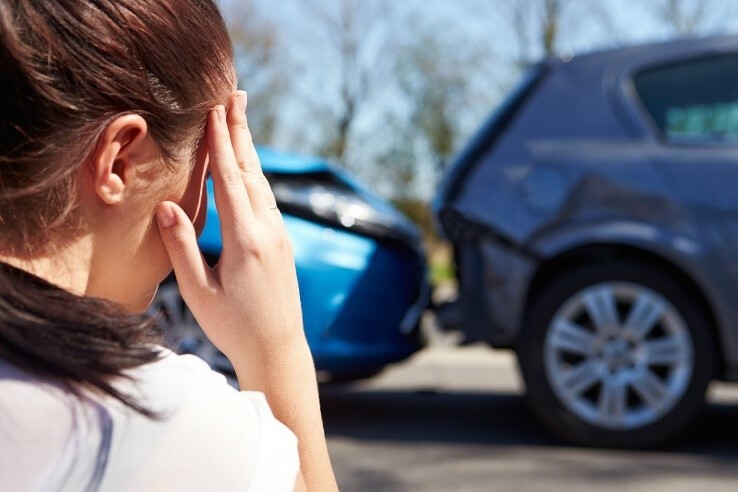 Writing about the accident in the notebook may help preserve your own account, and the process of getting it all down on paper may jog your memory, helping you remember further details about the car collision. Write about all the injuries, pain, and suffering you experience after the accident. Be specific and don’t shy away from writing about emotional pain too. The more thorough you can be, the better. Make notes about everything from your mood to which medications you need. Keep notes about all your doctor appointments. Don’t forget to write about the expenses and outcomes of each visit. Get copies of all the relevant medical records for your personal injuries. Also save receipts from every expense you have related to the car accident and the injuries it caused. Save all contact information from the other party and witnesses. Provide that information to your lawyer as soon as possible. You may set aside a large envelope where you place bills and receipts as you obtain them for any medical treatments. If you’re not sure if a bill is relevant, save it just in case. It can always be discarded later if your lawyer doesn’t need it for your case. Finally, car accidents are sadly on the rise. If you have been injured in a motor vehicle crash, preserve the evidence and prioritize your best interests. Contact Otorowski Morrow and Golden, PLLC, with any questions you have about filing a personal injury claim.